I’ve been a member of survey panels for several years now, answering surveys every once in a while for a small reimbursement. 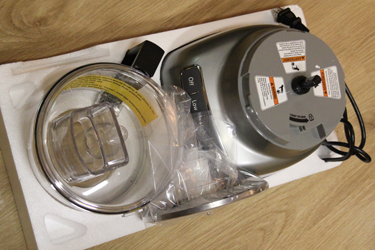 About a month ago, I got an email from one of the panels I belong to, asking if I’d be interested in testing a small kitchen appliance and reviewing it honestly, and as a thank you I’d get to keep the appliance. I was stoked! 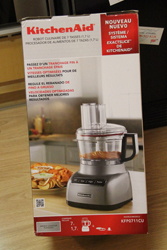 I got a KitchenAid 7-cup food processor. Awesomeness! 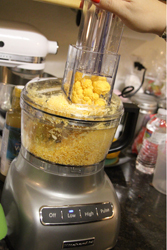 And I used it several times in the kitchen. It worked great! 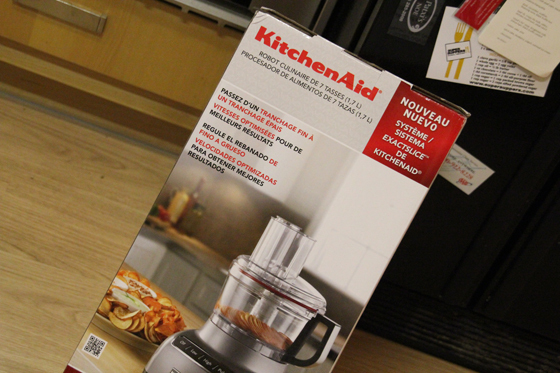 Well today, I got a reminder email from the company that sent me this awesome appliance, and I finally went to write my review. 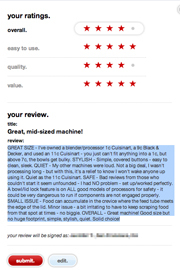 I’m not usually moved to write reviews on anything (although I’ve written a few on Yelp! 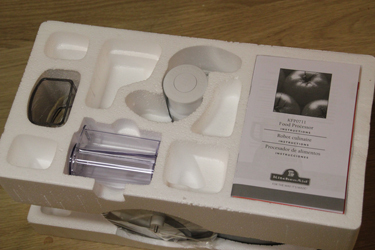 ), and I’d never reviewed a product before, especially not *just* for the sake of reviewing it, but I was actually pretty impressed with this one, and glad to write about it. 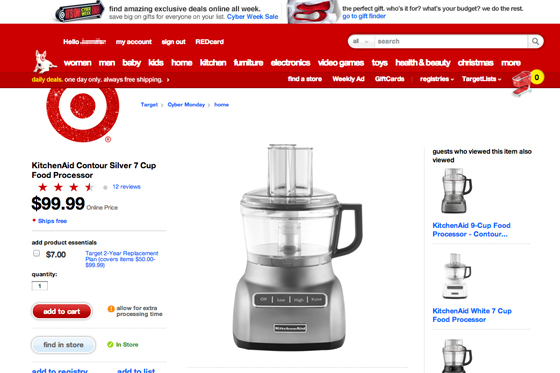 I went to the Target.com website for the food processor, where I was asked to post my review. 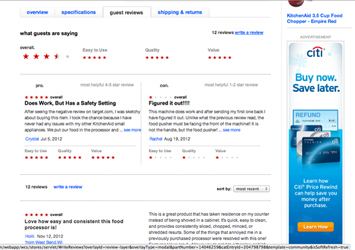 There weren’t many reviews for this product, and I had actually realized earlier that there were some kind of unfair ones. 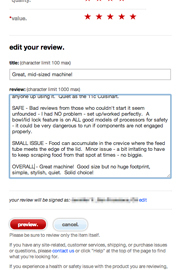 Some people couldn’t get their machines to turn on due to a common safety feature (among all good food processors – the bowl lock) that was working *properly* – nothing was wrong with their machines – and one person gave a bad review without even using the product because they had an accident opening the box, so I was even more happy to write my review. I don’t know why I missed the “character limit 1000 max” above the review box, but I happily typed out my thoughts, saying how I liked the size, the quietness, the sleek design, and noting my one minor issue with the food processor. 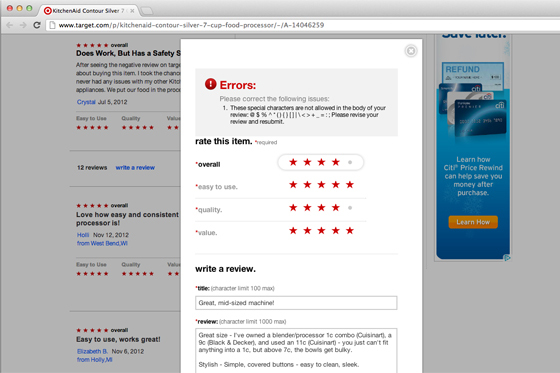 I also felt it was only fair that I address the poor reviews from those who gave an unfair rating just because they experienced user error. 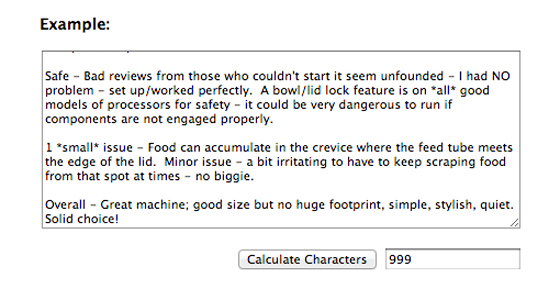 When I was satisfied with my entry, I hit “submit” and got the error that I had gone over the character limit. What?! Dangit. 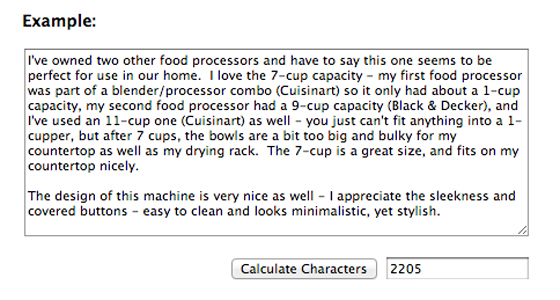 I had no clue how many characters I was over, so I had to find a character counter and paste my review in. I was at 2205! 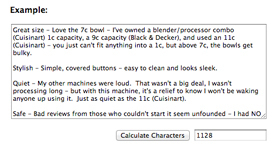 I spent the next half hour whittling down my text. Blerg! Now all I had to do was send this puppy off for real. I hit the “submit” button again. What the WHAT?! I could maybe see them not wanting people to use symbols that might interfere with the HTML somehow, but no “special characters” like parentheses or semicolons?! ARGH! 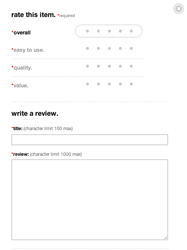 I went about editing my review again, trying to find my offending characters. Pooh! 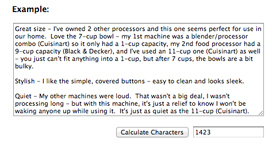 Eventually, I got them all out … and then I REALIZED THERE WAS NO FORMATTING! Ha ha ha! After all that, I had to edit my post ONE MORE TIME so that when people read it in all its bunched up, blocky glory, they’d be able to make some sense of it. Argh! 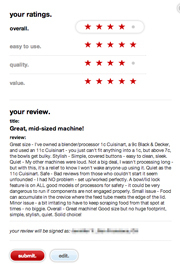 I really appreciate reviews – I read them for just about everything I’m considering buying – and while I still take them with a grain of salt, I think they’re extremely helpful in making purchasing decisions. 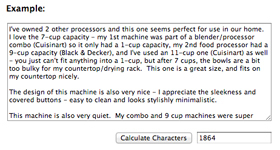 I’m glad I got to review this machine and put my two cents in. I hope it helps someone make a good choice for themselves!